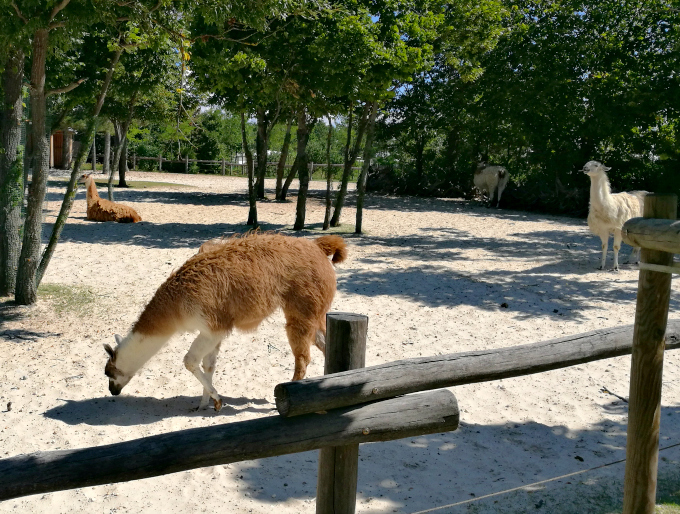 It’s been a few days since we arrived home from Csopak, so here I am with the summary of our vacation 2017! I have to say, this vacation was tiring, but I had much fun. 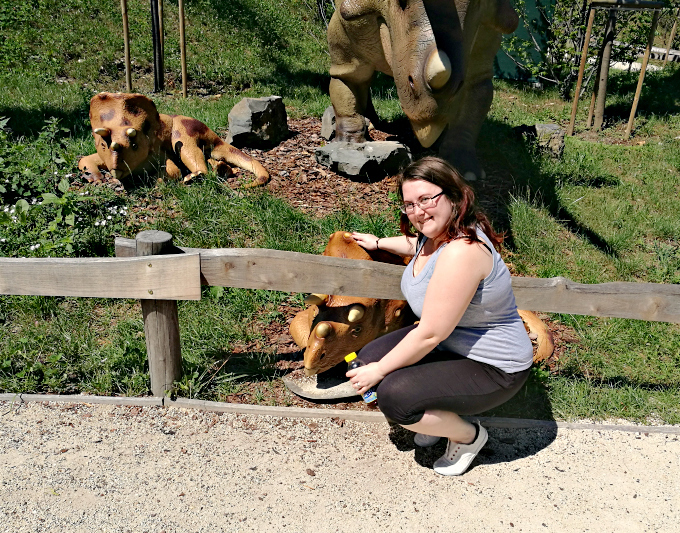 I saw dinosaurs and I tasted the best ice cream ever, also I had the best pasta meal too! Before we start, I’d like to point out that however it was our first vacation of two this year, having two vacations in one year happened only once before, and I honestly don’t mean to brag about anything in any way! 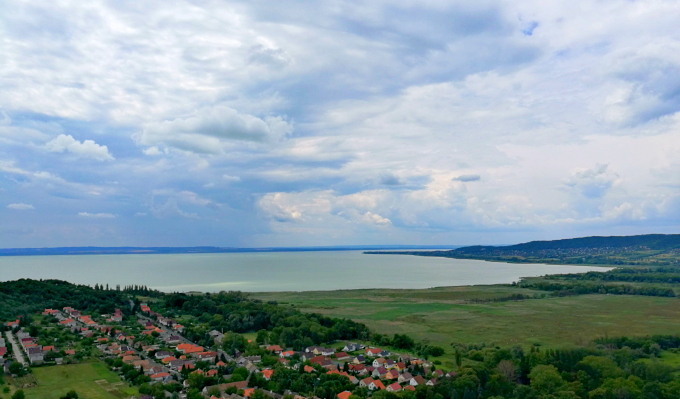 So Csopak, and the Lake Balaton is about 6-7 hours away from where I live, across the country. I went with my family (mom, dad, and my brother) and Laci. Let me tell you, 5 grown adult is a tight fit in a small Suzuki! We got on the road relatively early (7:30-ish), in my opinion, we could get going sooner. Anyway, this way we could avoid traffic and heat. We arrived around 2 pm, got into our usual rooms and packed out. We agreed on an hour relax and refreshment, then we headed to the beach! I was soooo ready after a long day in the hot car to get into the Balaton, I couldn’t even express it! The view from the balcony at the end of the corridor was gorgeous as ever. 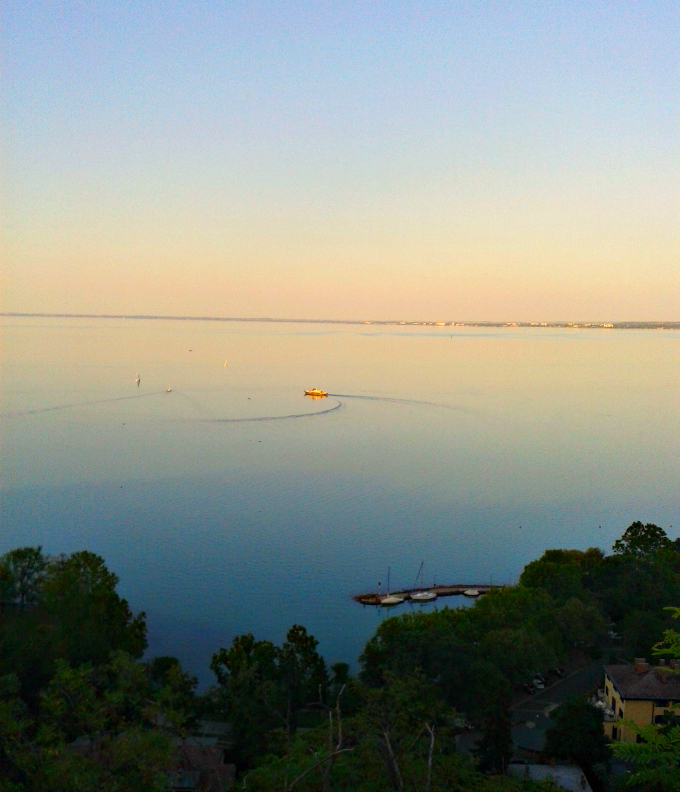 We usually have breakfast and dinner on the balcony, enjoying the weather and view. So, as I said, we headed down the beach. The water was so deliciously warm, no surprise the beach was full. (On this point I think I should mention, none of us are a fan of crowded places.) Anyway, we enjoyed it a lot! We dined in the restaurant at the entrance of the beach. We knew the place already, so we know the food would be good enough. I went for a nice plate of spicy beef noodles and a glass of mixed berry tea. 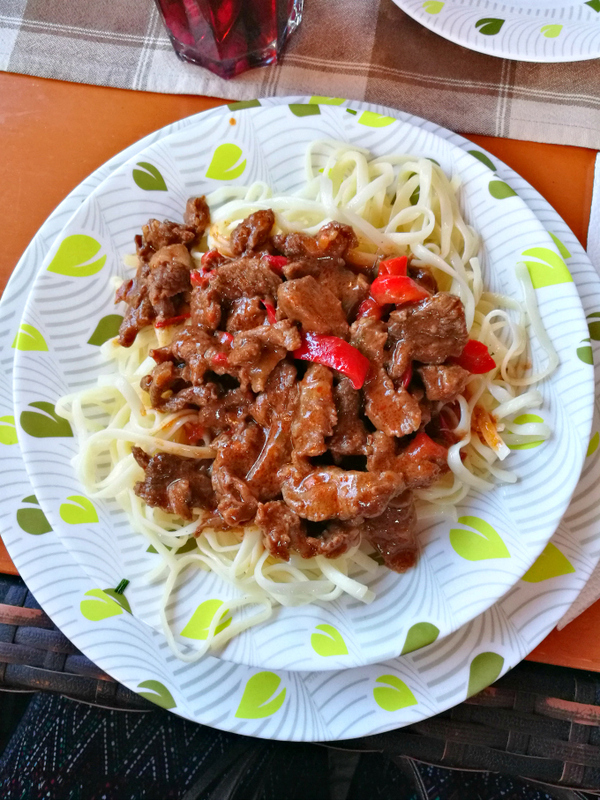 The spicy beef was fantastic, it was creamy, buttery, but not heavy, also it was like they cooked it in tomato soup, but the tomato taste was not over powering. It was really delicious! 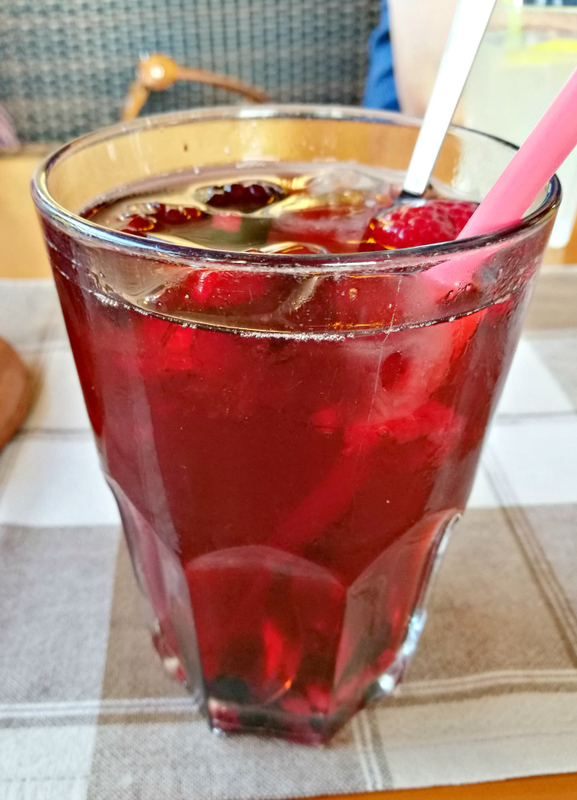 So does the mixed berry tea. However, I’ve done something similar, here, I’ve never thought about putting frozen mixed berries into my tea. Great idea anyway! On cue, as we get back to the accommodation, the rain started pouring. We knew the water would be too cold, so we decided on Zoo as the next day’s program. Normally I don’t like zoos and I know, it’s divisive, but I found this one interesting and surprisingly enjoyable. 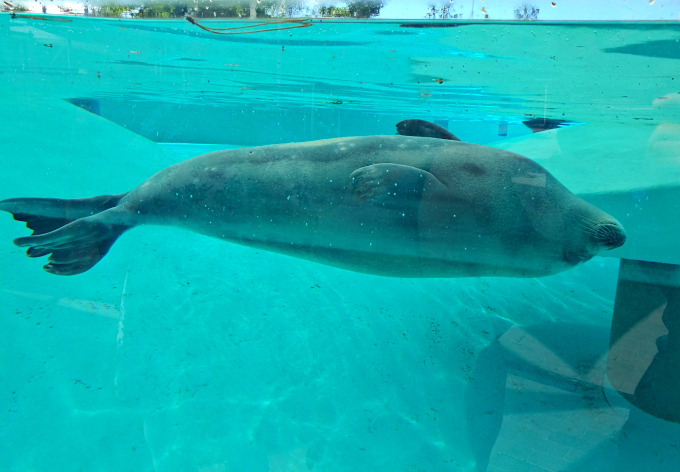 There are a few animals I’m excited to see in a zoo, but seals are on the top of the list. I love how they swim on their back lazily, just chilling, living their lives. 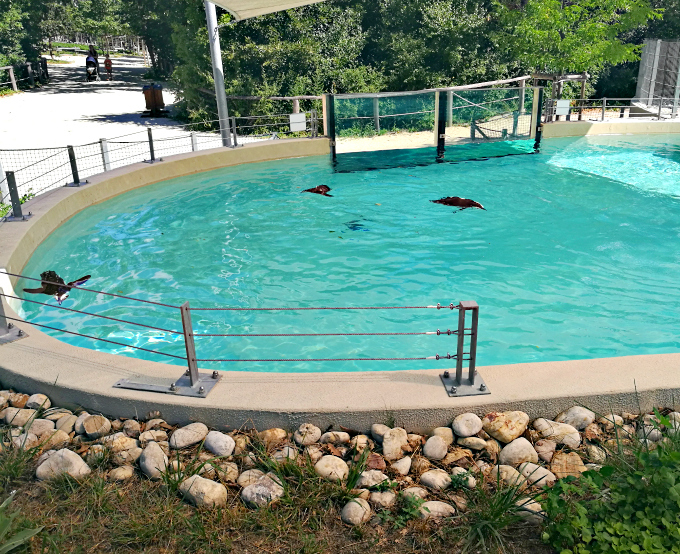 Penguins were chilling too in their pool. Honestly, I envied them back then, since the weather was getting hotter and hotter. Also on the list of my favorites are the alpacas, seriously one of the cutest creatures. However, their smell wasn’t the best, but hey, with that much fur, I wouldn’t smell the best either, I guess. And finally, we arrived at the best part of the zoo, the Dinosaurs! Do you understand?! Dinosaurs in a zoo! 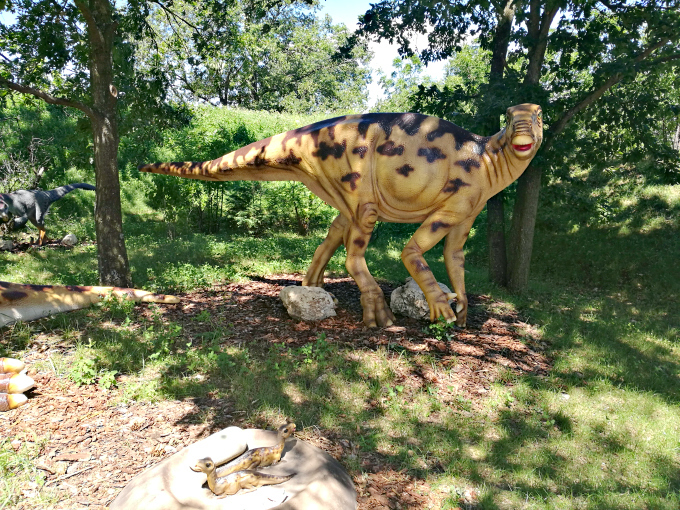 I thought I’d see some presentation, some tiny mock-up, illustration or maybe some bones.But what we found was a couple of life-size dinosaurs, my inner-children started jumping in excitement! 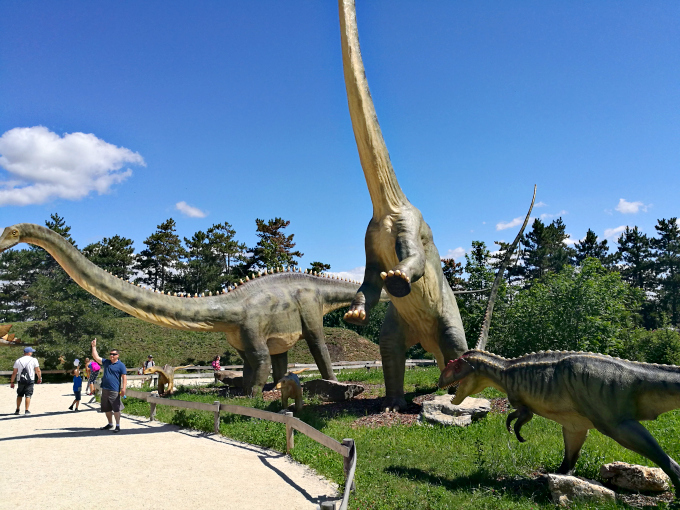 But what we found was a couple of life-size dinosaurs, my inner-children started jumping in excitement! We took pictures, selfies with most of them, I loooved it! Also, I found my absolute favorite dinosaur, the Triceratops, and it’s babies! I sooo wanted to adopt it…of course, if it was alive…Anyway, the point that it was so awesome, one of my best experience!It doesn’t take much to please me, does it? It doesn’t take much to please me, does it? 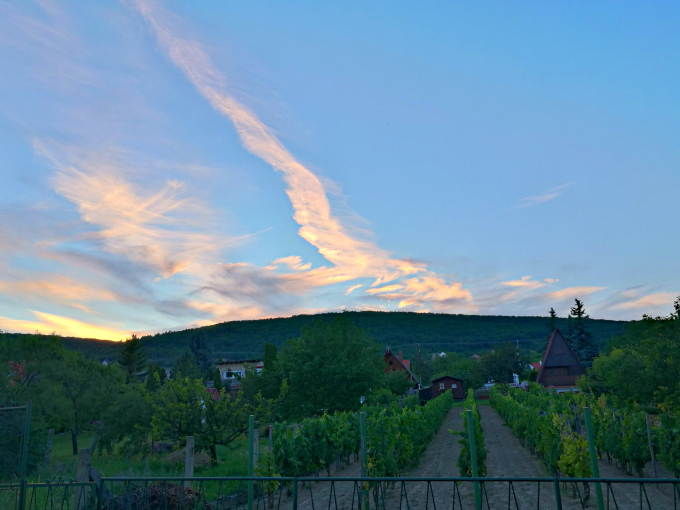 That evening we visited Tihany. Just have a relaxing walk, maybe some dessert. 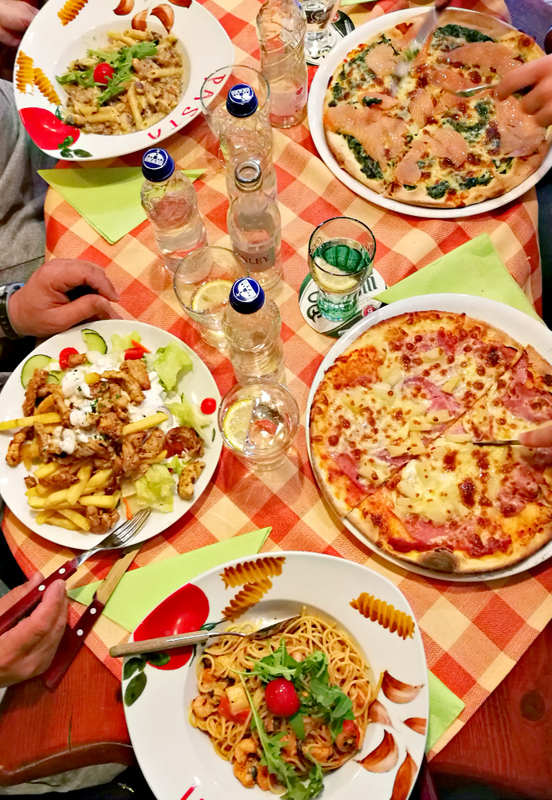 As we walked past a place, Stég Pub & Pizzeria, we saw the huge and mouth-watering meals, we quickly decided to give it a go! 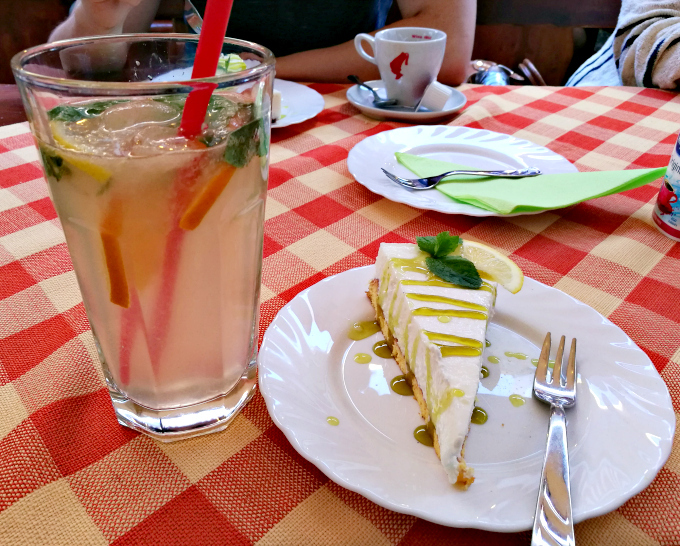 Their lemon-lime cheesecake and the lavender lemonade was such a perfect end of the day! Also, never had lavender lemonade before, but since Thiany is famous for its lavender and the lavender products, I couldn’t miss the chance to try it out! To be honest, I was afraid it would taste like soap, but thankfully it wasn’t. However it was weird, and I couldn’t describe it, it was really tasty and impressive! The cheesecake was creamy, yet firm, also gratefully it wasn’t too sweet! The drizzle of lemon-lime syrup gave it the perfect, flavorful, sweet and sour finish to it! We spent the next day on the beach, however, it wasn’t my best experience. The water was cold, the people were so rude and loud around us, and it was constantly about to rain. 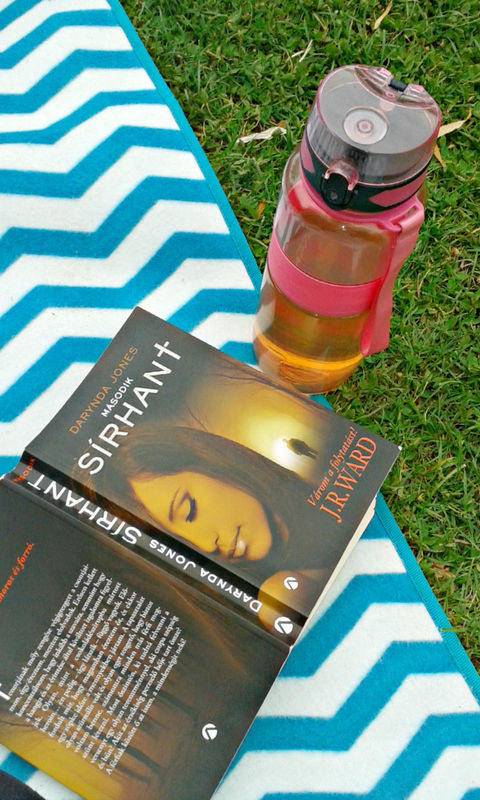 So I was reading mostly that day. For dinner, we went back to the Stég Pub & Pizzeria to give their meals a try. We didn’t regret it, not even a little! In fact, I just had my best pasta meal so far! I mean, look at our table! It’s so full, and we only had one meal and one glass of water each, and it’s full! My mom ordered a chicken pasta meal, my dad ordered a gyros plate, my brother went for a salmon pizza, Laci went for a Hawaii pizza and I decided on a sea food pasta. 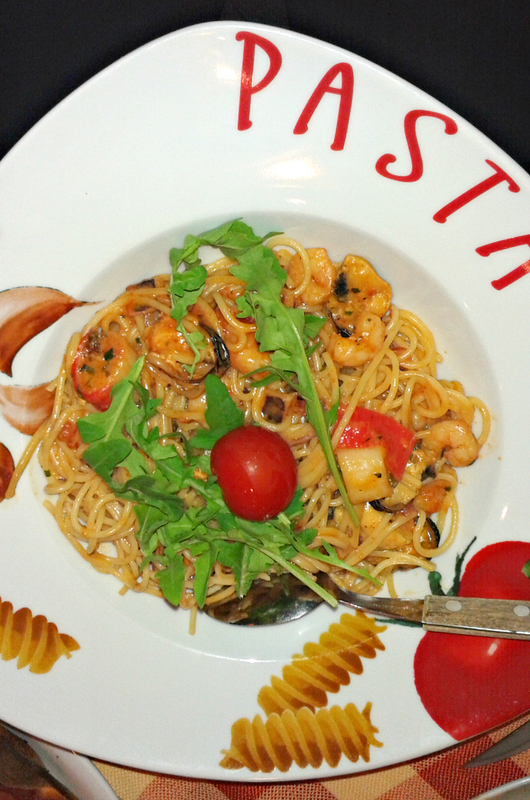 That sea food pasta was honestly amazing! 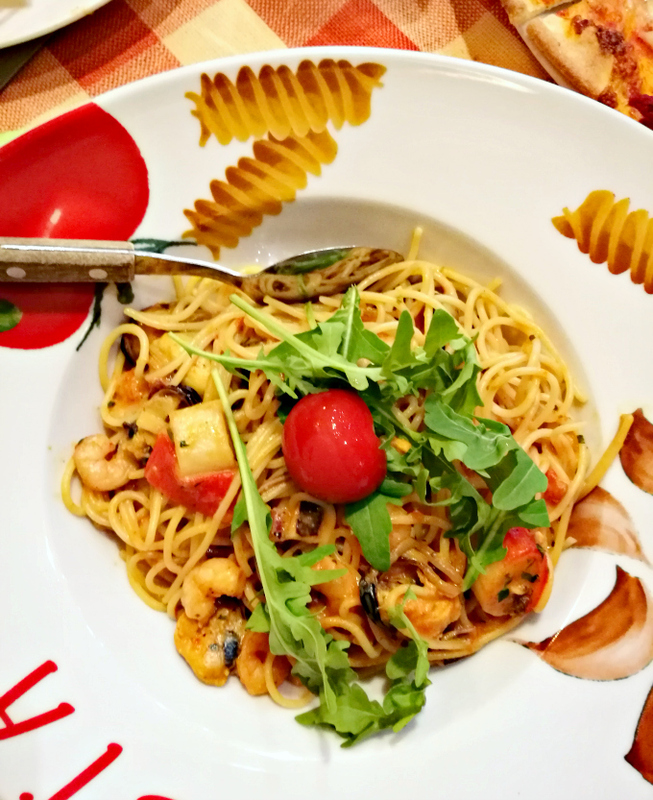 It had a tomato base, but not over powering, it was full of sea food, perfectly cooked, also it had arugula in it, which added some kick to it! The taste harmony was on spot! Also, it was huge and so, so filling, I was completely satisfied with this meal! Learning from the previous day we decided to go on a little road trip instead of freezing on the beach beside rude people. We went to check out the Castle of Szigliget. I have to repeat myself from Twitter…I’m soooo out of shape, I was so dead when we finally got up there. But the view was breathtaking, so it was worth it! On our way back we spotted this sign, it’s hilarious, I loved it. 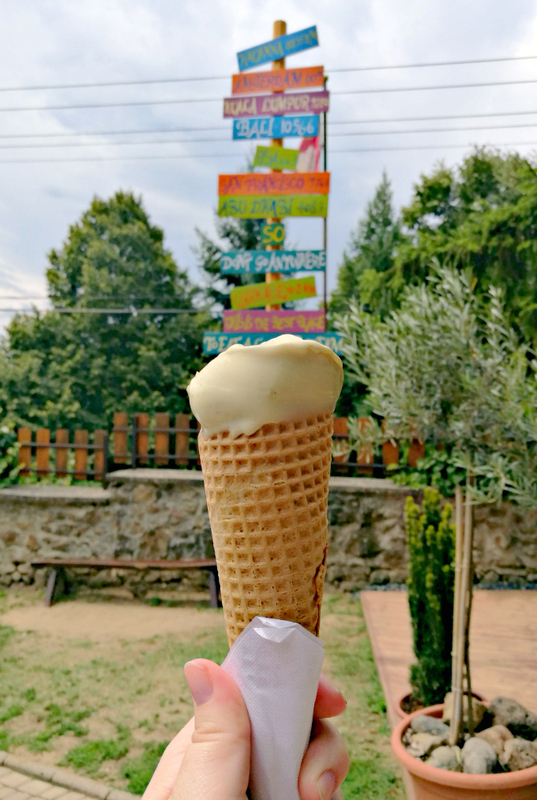 The Várkávézó was next to us, so we couldn’t miss the opportunity for a delicious ice cream! Now I’m soooo, sooo glad we tried it! I had the best ice cream ever! The Best ice cream ever! I don’t say things like this light heartedly, but honestly and absolutely true, this ice cream was the best one I’ve ever had in my life. I choose Salted Pistachio ice cream. First of all, pistachio is my favorite ice cream flavor since I was little. So whenever I get a chance to eat a good pistachio ice cream, I most likely do. But I’ve never tried salted pistachio ice cream before! I mean, I do eat salted pistachio as a snack, but never as an ice cream. Now that I think about it, I’ve never even seen salted pistachio ice cream before. Anyway, I give it a try and the flavor harmony was absolutely perfect! It was pure heaven and I wanted to grab and shake everyone around me, and shout in their face that they NEED to try it, it’s the best thing ever! Of course I didn’t do that, instead, I nommed it silently and enjoyed every piece of it! 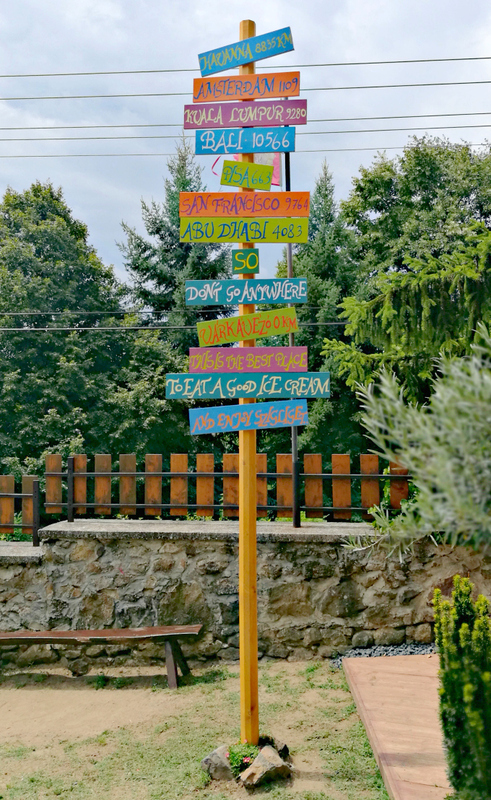 What also great about that place, besides they made the best ice cream ever…that they don’t add artificial coloring and they only work with natural ingredients! Awww, I’m still dreaming about that ice cream! Also, now I want to create recipes with salted pistachio! 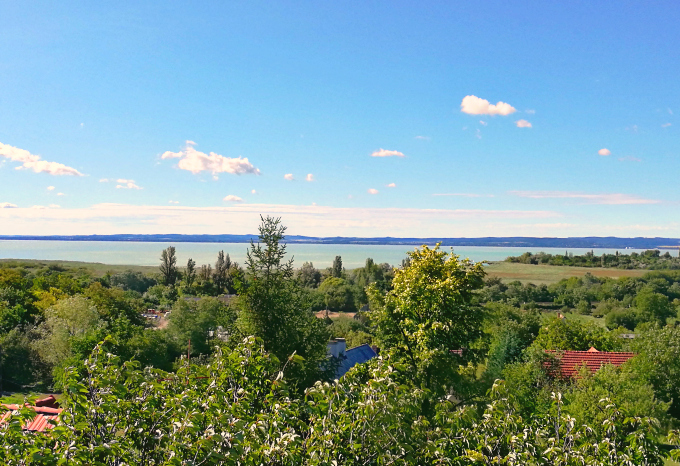 We spent the rest of our time at the beach, in the Balaton and relaxing at our rooms. Our way back home was way more painful than the road there. We packed the car and get going around 9:30 am, so it was already really hot and the traffic was worse. But we get back home safely!